You don't have to sacrifice comfort to look business-like. 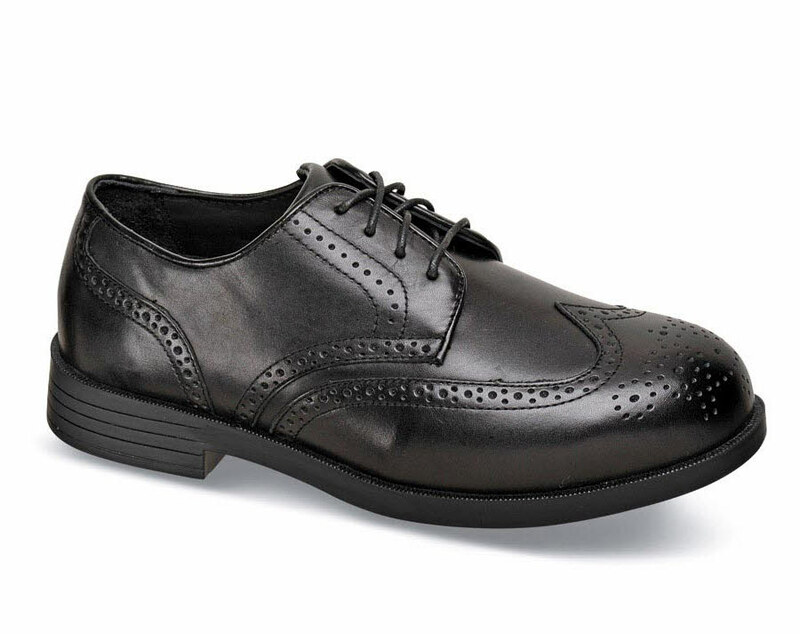 Drew's black "Clayton" wing-tip has double-depth handsome leather-lined uppers, breathable PU footbed with Dri-Lex® cover, steel shank and a durable lightweight PU outsole. Originally $169.95. 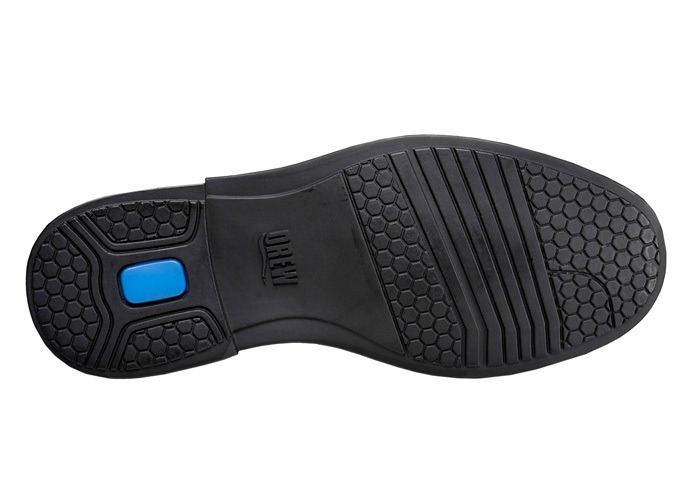 Limited stock in men's 4E and 6E widths in sizes indicated.